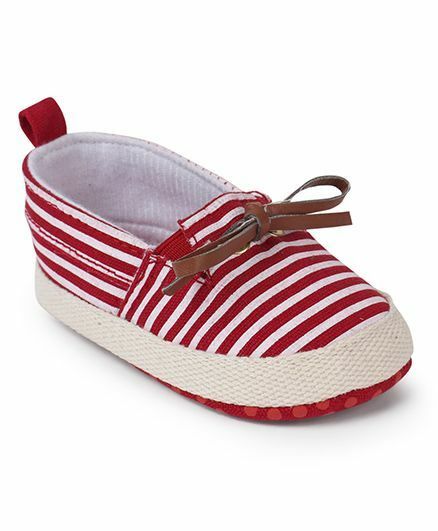 Cute Walk by Babyhug presents this stylish and comfortable pair of booties for your girl. Trendy bow design gives it a stylish look. Booties are lightweight ensures easy movement. Slip on style for easy wear. Styling Tip: Mix and match these booties with casual dress.